This is like the seven dirty words you can't say to a Joe Collector without them frothing at the mouth like an evangelical preacher listening to a George Carlin routine. Star, Insert, Rookie, Pack, Box Set, Game Used and Graded. Heck, there could even be the A-word in some of these boxes! oh Lordy, I do believe I'm getting the vapors... Let's see what's in this most wonderful of boxes. 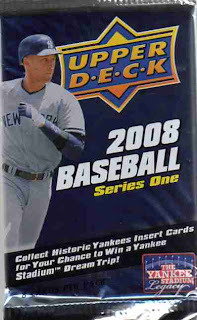 Item 1: One sealed boxed set of 20 cards or more! Bah, no Braves. Well, it was 1990. Dave Justice was about it from that year. There's a few stars in here though. It looks like there's a lineup for the AL and the NL. 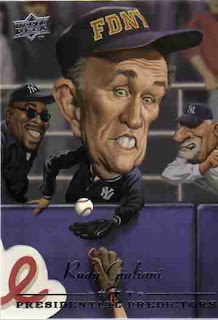 I think the AL could take 'em though. This may be something I have to bust in a future post. It's kinda weird to get a KMart set out of a box from Target. Time to move on to the second item. Item 2: One major manufacturer sealed pack! 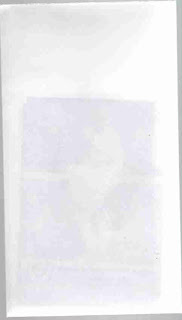 The infamous plain white Fairfield envelope! What secrets are hidden inside? Item 3: One rare insert valued at $15 or higher! A 2001 Pacific parallel of Robert Person? Really? Wow. Oh wait, it's serial numbered. Item 4: One Authentic Rookie card! Dice-K! Not a bad rookie, it looks kind of different though. Aha, it's from the 2007 Topps team set of the Boston Red Sox. The card is numbered BOS1. Still pretty good, it's a variation I don't have yet. Ok! The next card is really thick! Let's check out the JERSEY CARD!!! 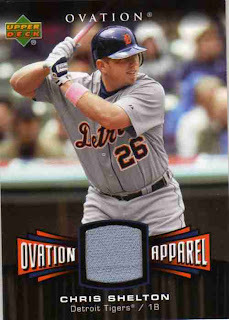 Item 5: One game-used or autographed card! Item 6: One superstar card of Pujols, A-Rod, Jeter & More! 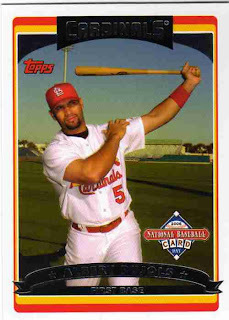 Well, they called the Pujols card all right. This Pujols is from the National Packtime giveaway in 2006. Another neat variation of a star, but I have this set already. Well, this box has been pretty hit or miss so far, with a double helping of miss. Last item in the box is the bulkiest. Let's check out this big ol' slab of plastic. Item 7: One Beckett graded card! Well now this ain't too bad! 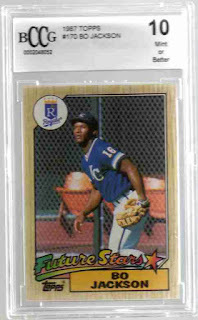 A BCCG 1987 Bo Jackson graded 10 Mint or Better. I think a BCCG 10 is roughly equivalent to a PSA 4 or so, but don't quote me on that. 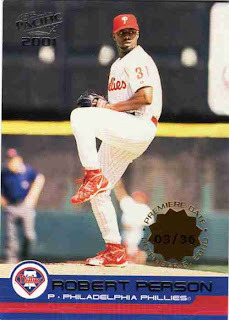 This is actually the best looking 1987 card I've ever seen. Sharp corners, clean back, well centered plus it's Bo! One of the best cards in the set! I'm not a big fan of grading, but this here is a purty card. So whaddya think kiddos? Was it worth it? Are you going to run out to your local target and snap up a bunch of these boxes? If you do, let me know what you got. It can't possibly be better than this box and I'd like to gloat. Bo Jackson baybee! - The same Kmart cards which were great for laughs. 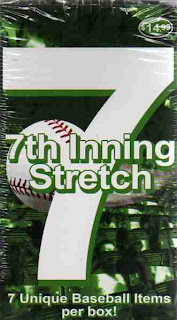 - A sealed pack of 2007 Fleer Ultra. This is hilarious simply for the fact that I was at Target yesterday and thought about buying the same thing just to have fun and bust it on video. I decided to keep my $15. The Bo Jackson 87 Topps has so much history for me. 1987 was when I started collecting and my friend and I had like a 3 hour trade negotiation for it and then I pulled it from a pack the next day. Oh to be in 2nd grade again and spending hours on a Saturday trading cards with my friends. Well now it is taking care of kids and yard work. Dude, I saw a gang of these at my local Target and ALMOST bough because they looked intruiguing. Then I said, "what am I thinking?" and put it back. Thank god you opened that for me. What neural force cause otherwise rational people--as baseball card collectors, bloggers, and blog readers most definitely are :) --to burn dollar bills? Why, it's hope in a box. I pull Ian Kennedy cards like it's my job - actually, I wish that was my job, it beats what I do now. I don't think I have the Rudy card... I've been looking hard for the Topps one and completely forgot about the Upper Deck. I always have to fight myself to keep from buying repack boxes. I keep telling myself "If they could sell this stuff separately and get $15 for it, they would. The fact that they have to make it a mystery to sell it isn't good." Its working more and more lately. I stick to blasters when I need a quick fix, or buy a few hobby packs. At least no one has looked through them and said "We won't be able to sell this if we tell people what it is. Let's make a mystery box!" I saw some of those boxes last weekend at Target myself, but I wasn't sure if I wanted to own my first graded card. By the way, kimaloo, Rick Porcello is one of the top pitching prospects in baseball. I saw a box of this in Target this morning but I was short on funds. I bought a blaster box of SP Authentic instead. I only bought it so I'd have some of the cards as the cards are pretty boring. I also bought 5 packs of Bowman Chrome which I didn't have any of. I pulled two Fukudome cards, one as a Cub and one in his Japan uniform. Wow, now that is some junk wax! Thank you for the public service announcement. I'm frequently tempted by those evil things, despite knowing better. The only thing in your box that I would have been happy with at all was the Robert Person card. I met him a couple years ago when he was playing indy ball, and became a fan. 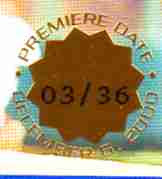 The Person /36 is actually "Booked" (according to Beckett, natch) at $20. thanks for letting me live vicariously through you. you saved me some cash better spent on anything else! This is more evidence that repacked boxes should only be bought at clearance time. But then that begs the question, what would be a fair price on the clearance aisle. Oh well, just give me a blaster of something instead. Hm... I've seen these and figured what you pulled would be the type of garbage inside. But seeing your post, perhaps I'll pick one up for my 6 year old nephew for the holidays. He's too young to know good cards from bad, and would get a kick out of a game used card, no matter who it ended up being. Bought mine in Durham,NC. Got David Price Tri Star gem mint 10, 2007 UD series 2 pack, 2005 topps national baseball card day david wright, carlos martinez rookie card, Raffy game used white jersey, Fleer Showcase History Roberto Clemente. Not bad for 15 bucks. I like the David Price gem mint 10 the best. Your all item my choose. thinks for your publicist. This 2016/2017 version of this Fairfield product now in the form of 100 (baseball) and 75 (football) card boxes is basically a scam. Only buy if you care nothing of value or quality. The cards are often damaged (bent corners, or even full blown creases), often have duplicate cards per pack (even back to back), and claim "hits" in 1 of 4 boxes, but the so-called "hits" are generally auto or patch cards from players that have since retired with little to no accomplishments in their careers -- a 100% safe bet for the house. I purchased $100 worth of these "for science" knowing that I would likely not get anything out of them and went so far as to take photos due to the poor quality and clear stacking of near worthless cards into the packs. 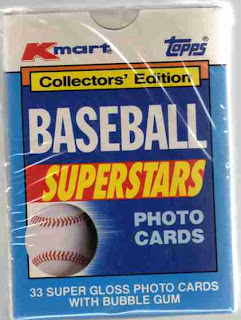 They have also resorted to putting cheap Sticker/Tattoo packs into the baseball boxes, not anything of value with the exception of an occasion Score Football 1990's pack. Do not recommend buying. Far better options on Ebay, Amazon, and your local card shop. 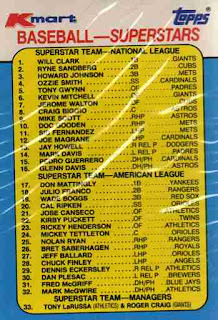 Does anyone want a '80-'81 Topps mini card?